Add some more storage to your home in fun and funky style with this little shelving unit. Designed in the shape of a house with drawer storage. A great look for a retro, modern or Scandi style interior with a subtle hint of rustic charm. 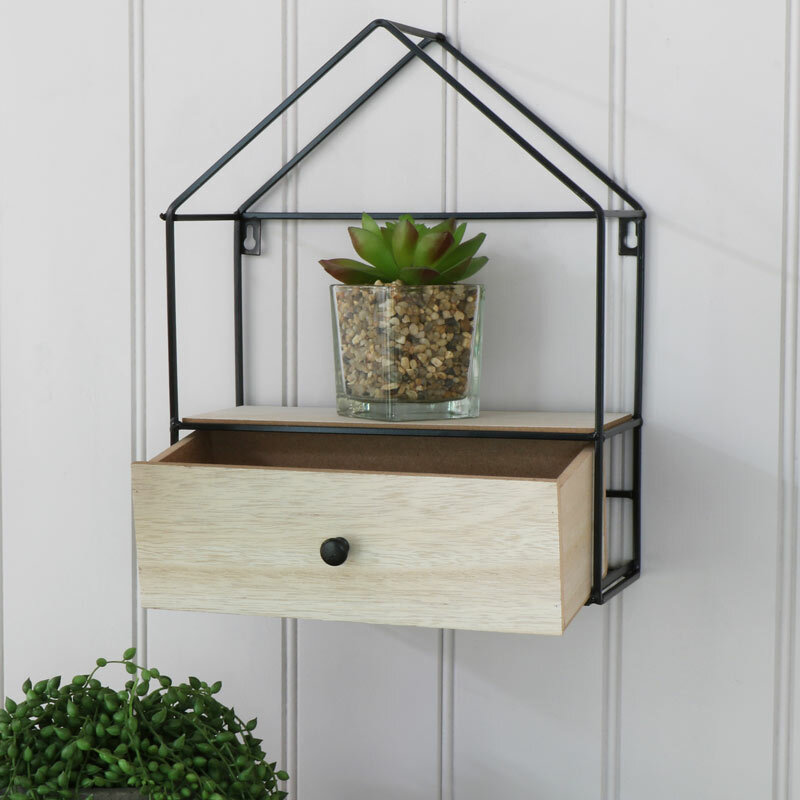 A great way to display ornament, trinkets or plants with the added bonus of a drawer for any little bits and bobs. Black metal frame in the shape of a house with natural wood shelf and drawer. This would create a great look in the living room, hallway or bedroom making this a great home accessory. Add some more storage to your home in fun and funky style with this little shelving unit. Designed in the shape of a house with drawer storage. A great look for a retro, modern or Scandi style interior with a subtle hint of rustic charm. 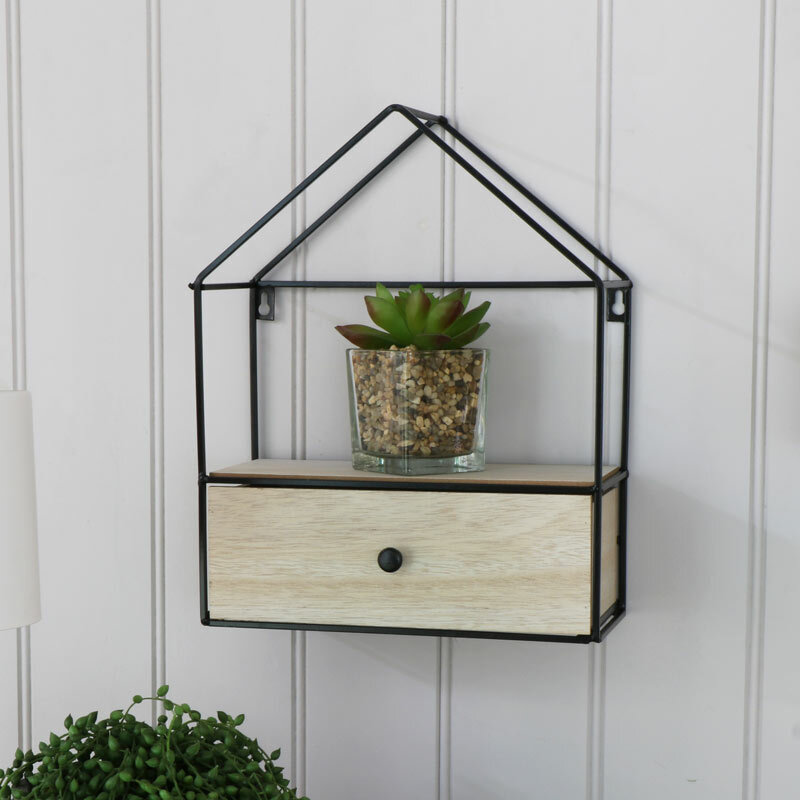 A great way to display ornament, trinkets or plants with the added bonus of a drawer for any little bits and bobs. Black metal frame in the shape of a house with natural wood shelf and drawer. This would create a great look in the living room, hallway or bedroom making this a great home accessory.